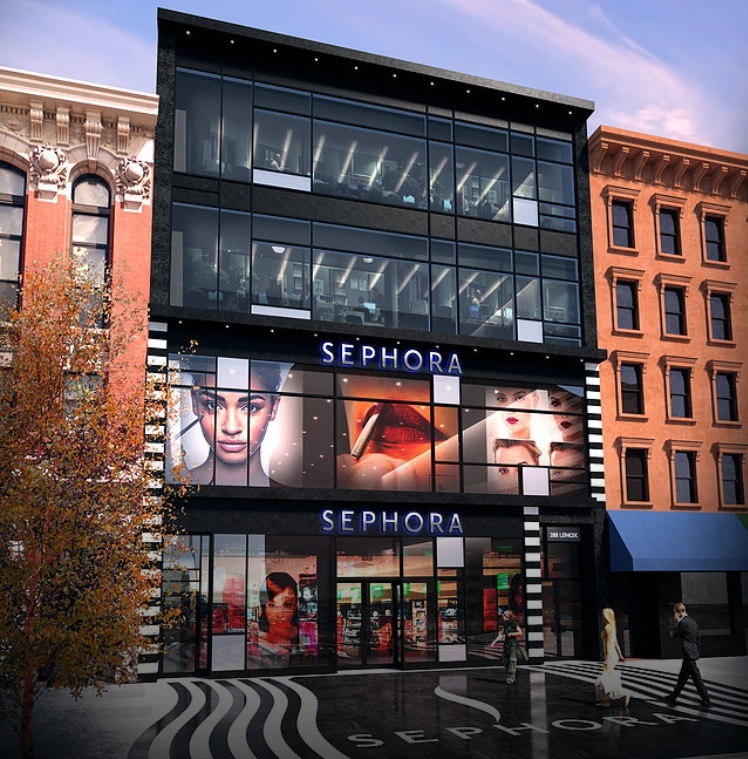 H A R L E M + B E S P O K E: SHOP: WILL SEPHORA ARRIVE IN HARLEM? SHOP: WILL SEPHORA ARRIVE IN HARLEM? We posted on a new commercial construction in Harlem yesterday and one Bespoke reader mentioned that they discovered a rendering of a possibly proposed retailer on the architectural firm's site. Apparently Sephora might just be arriving in Central Harlem in the near future if the very detail rendering has any merit. Retail uptown is getting better and better! I welcome it. I'm sorry to see Lenox Lounge in the state it's in, but it's very likely never coming back. I enjoyed spending time in Lenox Lounge and I knew it was never coming back. The atmosphere and staff was always very nice and pleasant. Very sad news. RIP.